Just like a tailored living space that grows and evolves, brands do too and we’ve been mulling on freshening up our own look over here at Lonny. And, well, it definitely wasn’t as easy as tossing in new throw pillows or repainting a wall. But, we went for it and couldn’t be happier with the results. We’re so excited to reveal — drumroll please — our new logo and visual identity. The new look evokes the spirit of the brand's move to the West Coast while maintaining what the original Lonny logo (and team!) represented with a modern twist. We wanted to go with a design that felt light, airy, and most definitely unique. 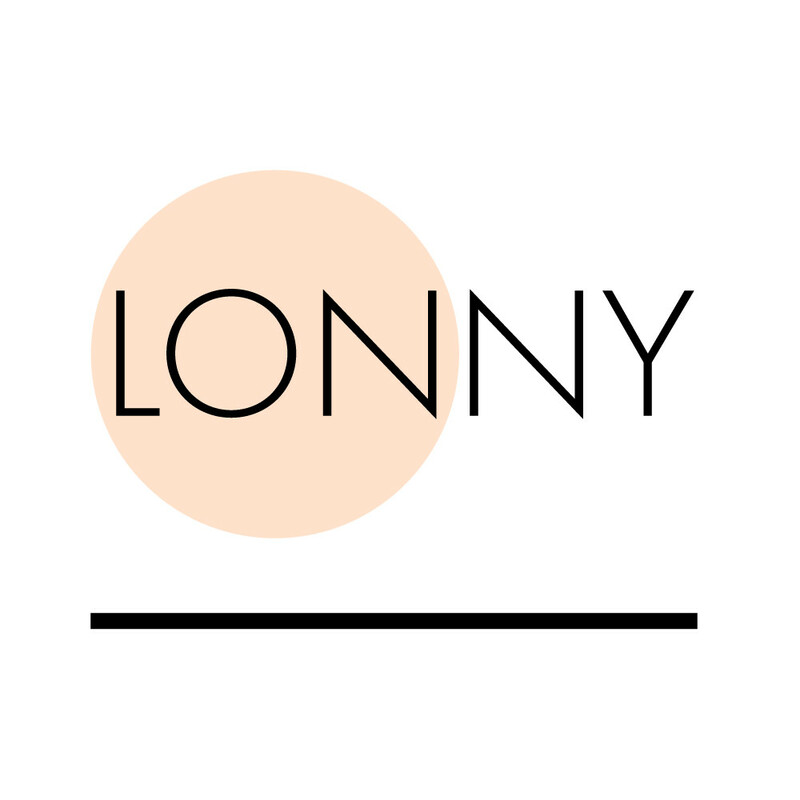 Lonny’s new logo was designed in-house by senior designer Briana Gagnier who, along with the Lonny team, worked to develop a logo that sparked West Coast ease and approachability. "Now that Lonny has settled on the West Coast, we felt it was time that the logo reflect the spirit of California," Gagnier says. "We updated the typeface from a serif to a sans serif and used geometric accents to modernize it a bit. Moreover, since Lonny's name combines the abbreviations of London and New York, I wanted to create something that really showcased the separate cities." It was important to us to harken back to the original logo in some form. "I used the circle to separate 'LON' from 'NY' and added a black line to ground the logo in space," Gagnier says. "We also wanted to include some color in the logo to distinguish ourselves from other logos that are more classically black, gray, and white. The resulting logo ended up resembling a sunset, and in my opinion, seamlessly brings Lonny from the east to the west," Gagnier says. We couldn't agree more and hope you love it. Let us know what you think of our new look!